is tracking a comet. What will this comet have to do with the crew’s celebration? Even spaceships can look holidays-ish, as demonstrated by a gigantic tree, decorations, food, presents, the cap dressed as Santa, and the mention of reindeer and sleigh. Two more unique elements (in Christmas anime, at least) are the Hallelujah Chorus and a Christmas parade. Having fun celebrating a “dumb festival” (according to Hikibi) involving romantic love. Funny…even in a futuristic universe, aliens celebrate Christmas similarly to the Japanese. Oh, and it’s not Christmas without snow sculptures (it would just be “too sad”). Despite seemingly throwing every Christmas symbol in the book at the audience, the episode works well. I’ve never seen Vandread, though it’s been on my list of shows to watch, and if this episode is any indication of the series, I remained interested. Oh, and the best part: Pyoro 2. Hillarious! I liked BC myself until…(insert Admiral Akbar’s famous line here). Surprised to see a “serious” Christian like you support and celebrate the pagan festival that is Christmas. Oh my goodness…you’re right! Thank you for setting me straight. I’m gonna go burn some books and persecute some pagans, right after I throw away my anime collection. Vandred is rather entertaining. Surprisingly so, given its provenance. I’ve only seen this episode, but you know, it reminds me of a number of those not-too-serious, fun, entertaining shows of the 90s. I’ve always thought I’d like it. Yes, Vandred is truly one of those not-too-serious, fun, entertaining shows of the 90’s. 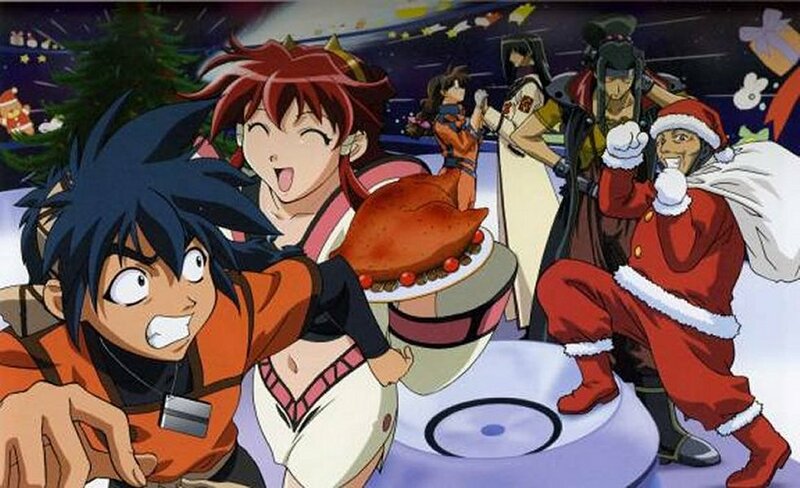 Kinda like Outlaw Star: pure guiltless, fun! Moetards, oldfags and other anime hardliners please take note.